I also wonder how nokia does its business, In Zimbabwe there is no where to buy this phone, just imagine! they want to push as much handsets possible yet they are starving those markets whose network providers do not offer handset to their customers be it contract or not. Ariz, 16 Nov 2012 The Main force behind Samsung flagship continues success is very simple (i) users friendl... moreTheres more. Samsung is giving 2 years international warrenty while nokia is giving only 1 year warrenty. Samsung has more strong distribution system then nokia . And samsungs service is better than nokia. Samsung launches their flagships very quickly in every country than any other company. Nokia is very lengthy. Overall this phone looks good but i would like to have FM radio in it. As per my needs if Nokia adds FM Radio functionality in current device i will buy this phone at any cost. [deleted post]price doesn't matter much for the lumia.indians are already appreciating the lumia.just launch it before dec 31,atleast! Anonymous, 16 Nov 2012Put a link that says it will not be available before Jan 2013. Seems to be true, I too contacted a few NOKIA DEALERS in my city & also called Nokia Care Centre, both say the same that the Lumia 920 will not be available this Year & I can wait till next year. Stupid NOKIA INDIA lagging behind.. as always ! Arjviv, 15 Nov 2012Hiii friends plz tell me if this phone can support full Hd video playback n what video format ... morecheck wp8's review of gsmarena.u ll know it all,or may b 920 can play much more than that-may b nokia have added more formats.for extra formats lets wait for 920 s review of gsmarena. i heard nokia lumia 920c is coming now because of lumia 920's graphic 220. coming 920c has 320.
yourmom, 16 Nov 2012NOKIA LUMIA 920 & 820 are not Coming to India this YEAR. It has been confirmed. Rumors are... moreits not been said by nokia india that 920 wud come only in the next year.nokia india has only denied its november launch. Since i dont have any experience for WP8 phone. This is my 2 cents, i will not say iphone 5 is the fastest phone. In reality, they have different ways to obtain efficiently fast and fluid phone such as OS and Hardware Specification must merge. (ii) huge expandable memory card support facility. 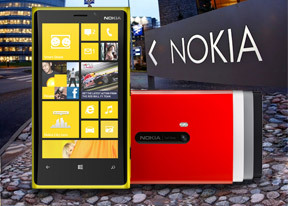 yourmom, 16 Nov 2012NOKIA LUMIA 920 & 820 are not Coming to India this YEAR. It has been confirmed. Rumors are... morePut a link that says it will not be available before Jan 2013. NOKIA LUMIA 920 & 820 are not Coming to India this YEAR. It has been confirmed. Rumors are, that both these phone won't be available even in January, 2013. Nokia India is the WORST OF ALL. These Lumias are going to be late.. VERY LATE.. Better switch to HTC or Samsung now ! This has been confirmed, call Nokia Care Centre & google it, you will get the results ! Best smartphone ever.WP 8 is awesome and Nokia's apps like city lens and Nokia drive are just fantastic.Marvellous camera,the PureView technology is a wonder.Nokia is back into the game,mind it Apple and Samsung. Anonymous, 15 Nov 2012Pls dnt even compare dumb wp8 with beautiful iOS. 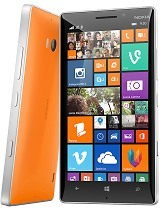 Wp8 drains battery like hell nd much much da... moreNokia phones are the best in quality. I got Nokia 3390; N95, N900 still in excellent condition. Nokia phones dont need Jacket like Apple Iphone. Drop it nothing happens. Compare it to Toyota Corolla. 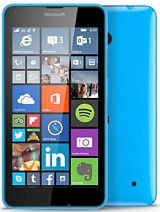 I want to buy 920 when it is available in Canada. but at the expenses of battery. Umm. Are you guys planning to review this phone anytime soon? ?